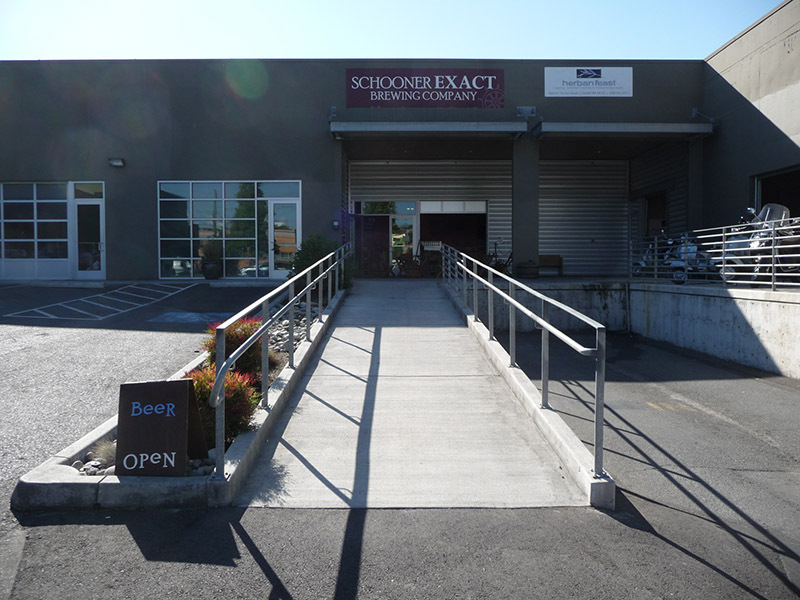 Schooner Exact is at the back of a small light industrial complex on 1st Ave. in south Seattle with parking available. You enter by walking up a concrete ramp that leads to a covered loading dock where comfortable folding wooden tables await. Inside double glass doors and an adjacent roll-up metal garage door, is a comfortable, modern, fairly small tasting room. Thereâ€™s a long light-colored wooden bar with matching tall chairs and a number of other matching tables and chairs. 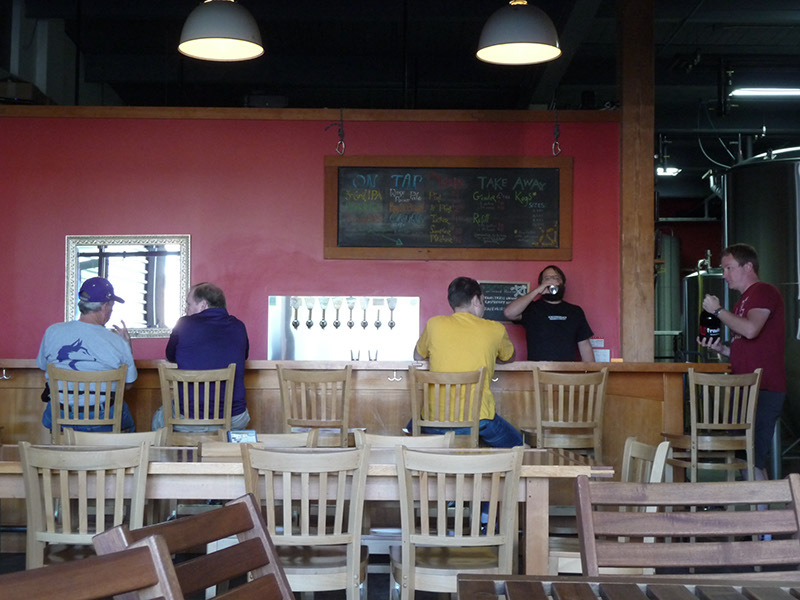 The bar back is a bright red partial wall that separates the tasting room from the brewery. 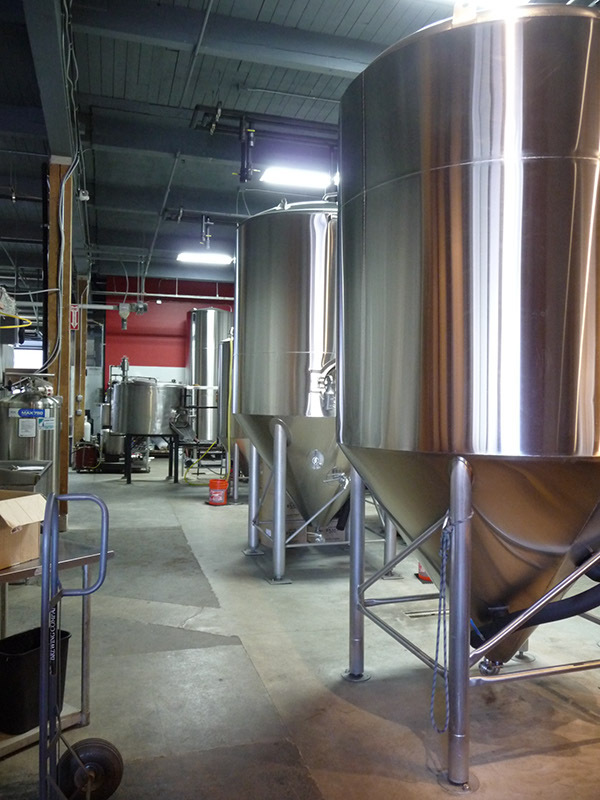 You can get a good view of the brewery to the right of the bar. There were eight house-made beers on tap on our last visit: 3-Grid IPA, Profanity Hill Porter, Gateway Golden, West Point Pale, King St. Brown, Gallant Maiden Hefe, Seamstress Union Raspberry Wheat, and Bravehorse Ale. The IPA, porter, and hefe were all quite good. This place is well worth a visit. The atmosphere is comfortable and welcoming and the beer is good. Growler fills and peanuts are available. Next stop in Seattle is Schooner Exact Brewing Company, (I didn't get an explanation of the name...,) for some beer and another tour. 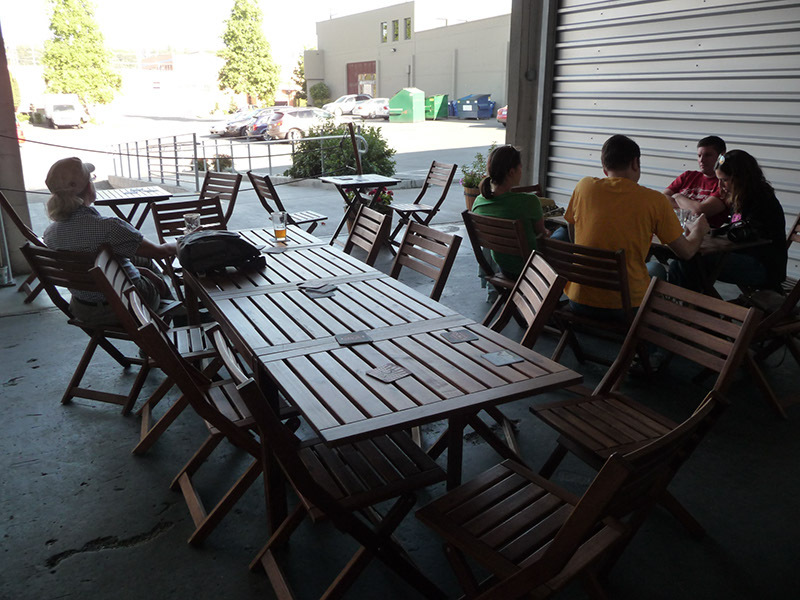 This brewery is located in a warehouse right next to a Vespa dealer, and entry is right through the open garage door. Within is a small bar with a few extra tables and a bunch of oak barrels filled with aging beer. The beers were all very good, but the one we all kept going back to was the whiskey barrel aged imperial porter...nummy! This is a smaller operation, with the brewer hand bottling large bottles during our tour. Worth a quick visit, but lacks a little something in ambiance.